What’s on your menu today? Restaurant WordPress themes should come with some key features which include menu management for nice and well-organized menus, photo gallery of the restaurant interior as well as a booking / reservation system at its best. If you manage a restaurant or café and want to present your location in an attractive way, then you could have a look at restaurant WordPress themes that meet your requirements and are coherent with your day to day business. Your restaurant website is the first taste customers get before having even entered your restaurant, bar or café. By creating beautiful and attractive restaurant WordPress websites, you can present guests your services and menus in an appealing way. Most WordPress themes for restaurants, bars, cafés or bakeries offer such useful features as menu and reservation management, different page layouts as well as flexibility to create your front page according to your liking. While running your restaurant, there probably is not too much time left to extensively maintain your restaurant WordPress website. For that reason, look out for restaurant WordPress themes which are user-friendly and easy to handle in case you need to change the menu quickly, update your website content or else. We have collected some fine restaurant WordPress themes which offer all kinds of different features and options – and surely you will find the perfect match for your purpose. Gourmet Restaurant WordPress Theme is ideal for websites from the field of food, beverages, restaurants, pizza houses or else. Gourmet offers seven unique concepts to choose from and to build your site upon. Its core features include shortcodes manager, page builder, powerful options panel, responsiveness, retina readiness, SEO optimization, clean code and support for WooCommerce…. Kitchen Cuisine is a fully responsive WordPress theme which is perfectly suitable for food related websites. 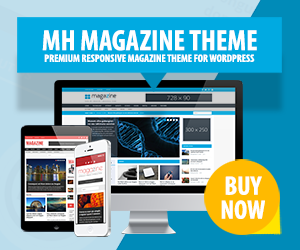 This flexible WordPress template comes with multiple layout versions and can therefore be used to launch all types of different websites. Kitchen Cuisine is a great template on which you can build a restaurant, café, bakery or eatery website….